Join our guest teacher Annie Smith in her wonderful 2 day color workshop. 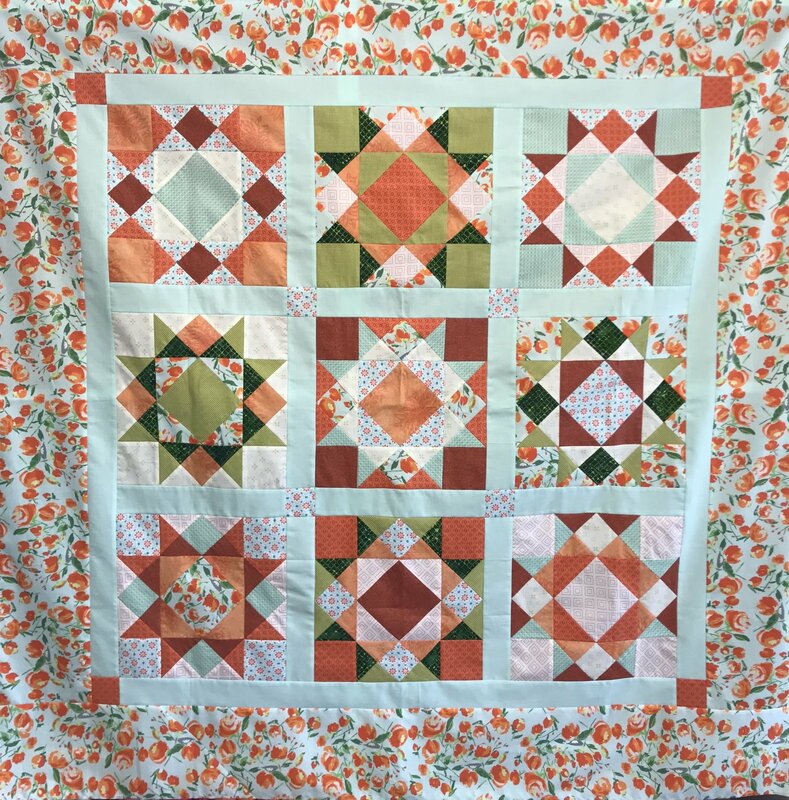 Leave with this amazing quilt made with just 10 fat quarters! Every quilter thinks that they have a problem with color – when in fact, they need to know more about fabric. Learn exactly what draws the eye to interesting designs and patterns in quilts to give them life. We discuss keys to effective fabric selection in this workshop, apply hands-on design exercises, and make a quilt applying everything you learn. As a part of the quilt making experience, you also learn precision piecing, using one little essential notion. Understanding the points taught in this workshop will make all the difference in your future quilts.